Power Clean is a promising Android cleaning tool. It is amazingly convenient and powerful, especially if your device needs an effective cleaning. 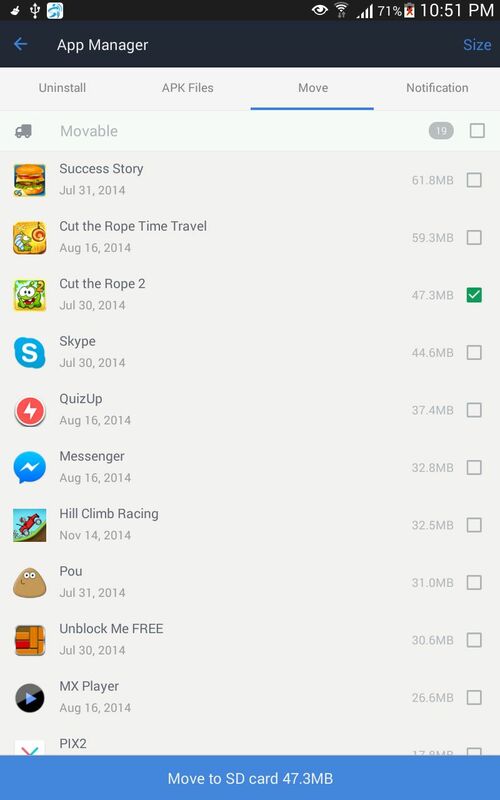 The Google Play Store is already flooded with a ton on Android cleaning apps. 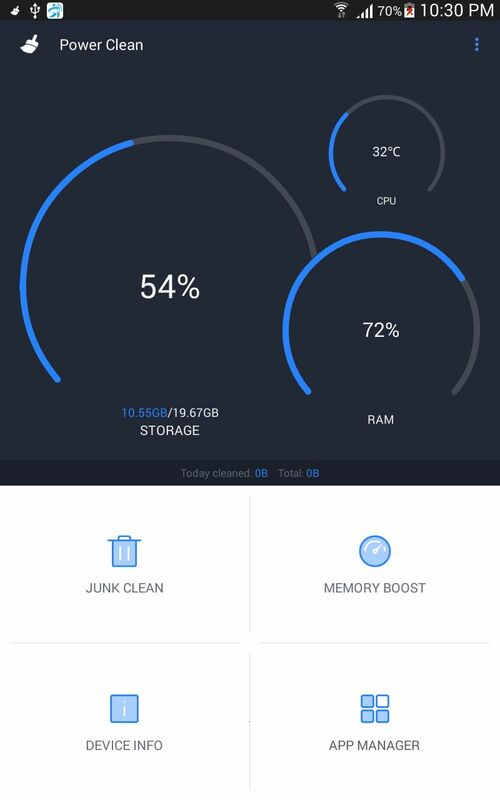 If you are looking for a simple, free and standalone Android performance improvement tool Power Clean is a suggestion for you. Power Clean provides you a simple and uncluttered experience while performing cleaning on your Android device. It is a one stop solution to boost performance along with keeping your device clean. 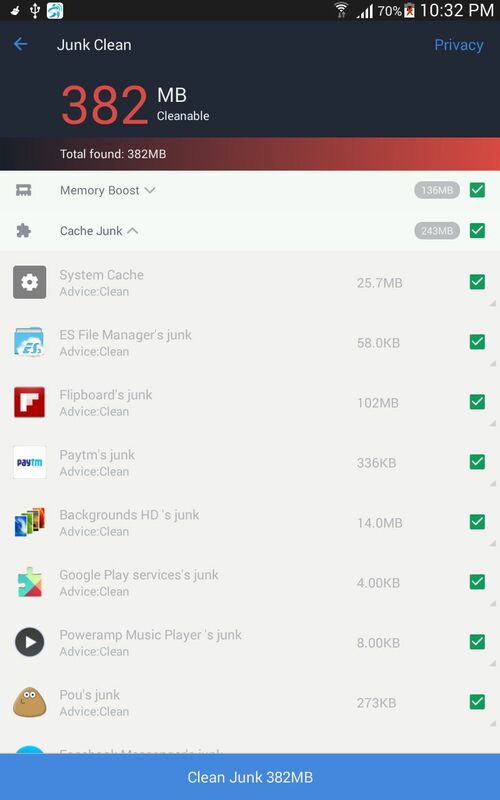 Power Clean has all the features packed to keep your Android device junk free by cleaning memory junk, cache junk, apk junk and residual junk. I personally tested app on Samsung Galaxy Tab 4 with 8GB onboard memory. After installing and performing all tasks suggested by Power Clean I’ve noticed performance difference positively. Like all other apps, Power Clean can be installed from Google Play Store. After installation, the app opens with a very clean user interface. The half of the user interface carries a graphical representation of device storage, available RAM and CPU temperature. Below half carries the options like Junk Clean, Memory Boost, Device Info and App Manager. After clicking on Junk Clean option, the app scans all the junk files resided on your device and showed the list of unwanted files to be removed. Click on the Clean Junk tab to remove all the unnecessary files. Memory Boost option lets you improve the device RAM performance by releasing the RAM. After the process had done the app shows the amount RAM released instantly. 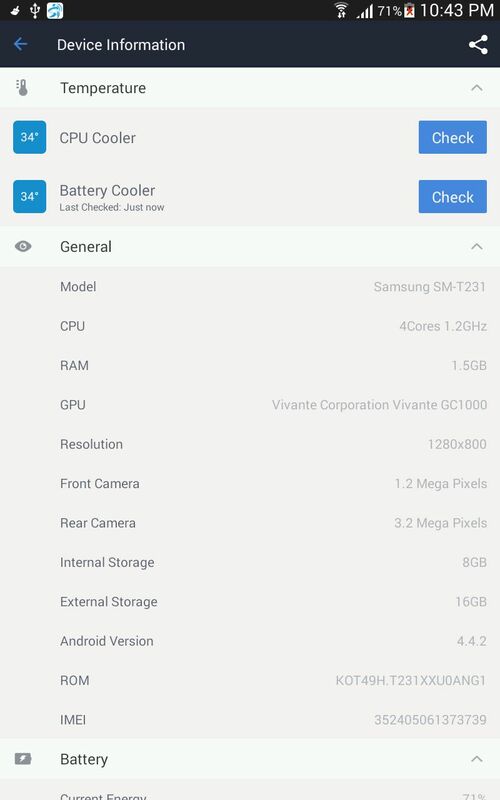 Device info option shows your Android device hardware, battery status, device features, and temperature. This feature is useful to know your device capabilities quickly. App Manager option lets you to easily get rid of unwanted apps by allowing you to perform batch uninstallation. Most of the Android devices comes with pre-installed default apps. Here the best part comes, you can disable the unwanted built in apps. You can also scan for the redundant apk files to clean the device. If your device packed with a very small onboard memory and facing low disk memory issues, Power Clean can move the apps from internal memory to external memory card with just one click. The app also supports notifications for easy cleaning and memory boosting. Power Clean is a promising Android cleaning tool. It is amazingly convenient and powerful, especially if your device needs an effective cleaning. Power Clean – Optimize Cleaner is available as an ad-free and free app in Google Play Store. Power Clean-Optimize Cleaner for Android. While it is a good cleaner, there should be a warning to save whatever you don’t want to lose to storage. This app cleaned out everything in my Word, 47 documents & PDF docs, including my resume & a 200+ page address document I’ve used for work. It also cleaned out all my downloads. Also all my text messages, some of which I was saving as exhibits for a lawsuit. These are things I can never get back as they are not saved anywhere else! My phone IS my only computer and I depend on it greatly. I’m am very upset that all this information is now gone. I installed power clean on my Galaxy 6 and it is draining my battery. Suggestions? It does consume a small amount of battery in your device. But if it is draining the battery, you might have to try switching to other similar applications. But I don’t think the results would be different.